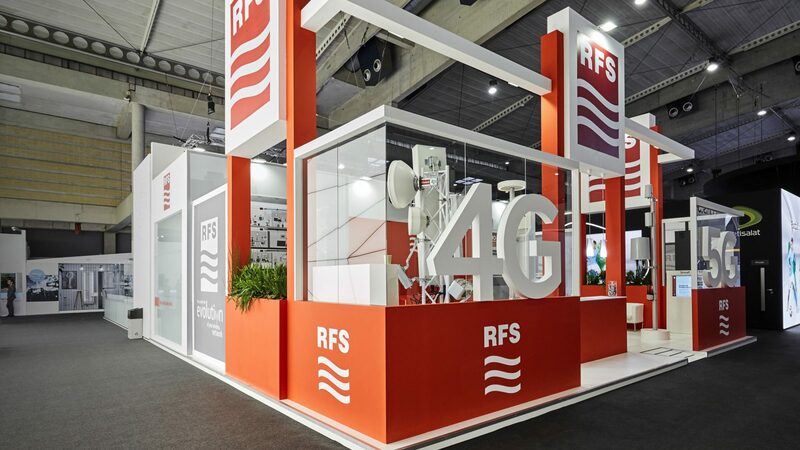 We developed and built the RFS stand for the world’s largest exhibit in the mobile industry, the Mobile World Congress in Barcelona. Iventions conceptualised and produced various exhibits at the world’s largest gathering for the mobile industry: Mobile World Congress. 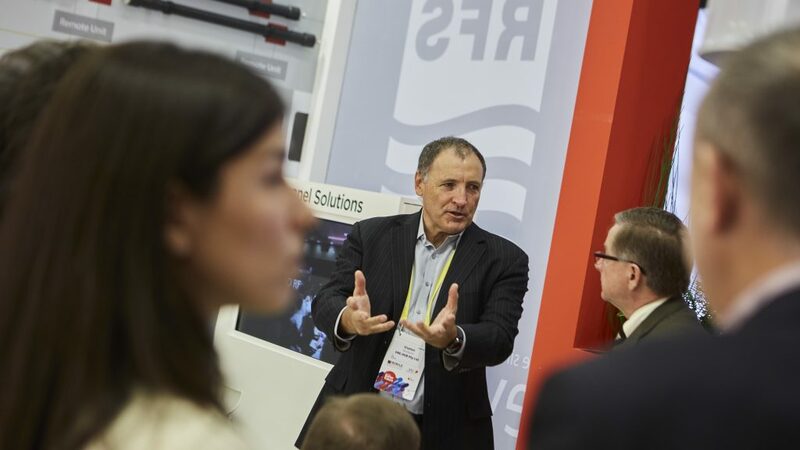 This combination between congress and exhibition for the mobile industry took place in Mobile World Capital Barcelona. 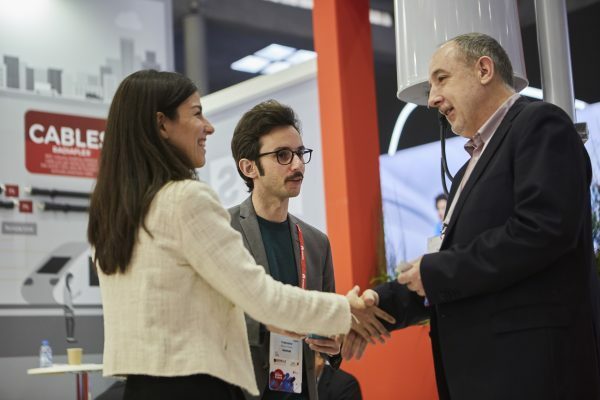 The MWC audience features prominent executives representing mobile operators, technology providers, vendors, device manufacturers and content owners from across the world. 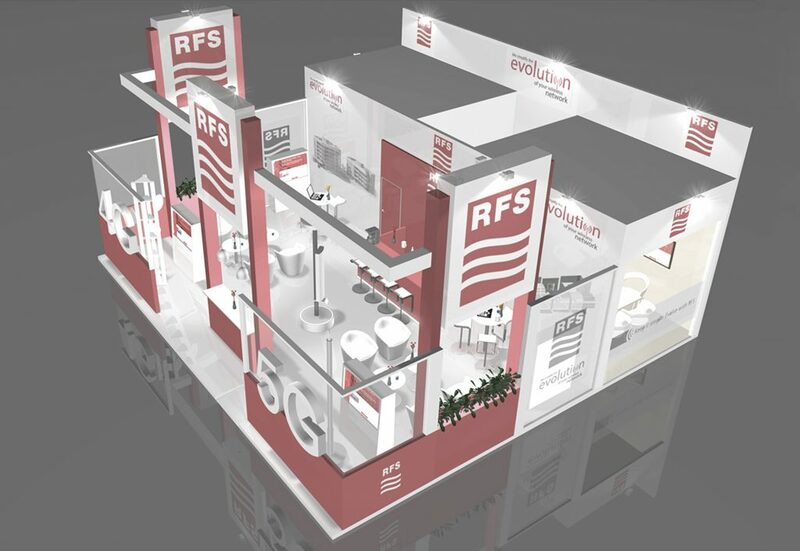 RFS, worldwide solutions provider for wireless infrastructure, asked us to build their stand. 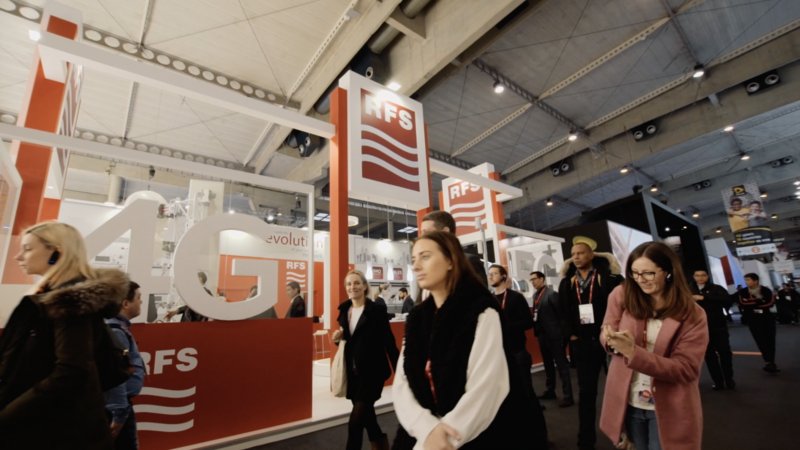 As their first independent representation at the Mobile World Congress, we convinced the crowd of RFS’ innovative know-how. The RFS stand, proudly built in between Samsung and Etisalat stands, shone brightly in the presence of other notable brands and companies. The open design of the exhibit welcomed many guests and received positive feedback from clients. As our collaboration was flawless, business flourished for RFS. Excellent collaboration with Iventions. Changes were implemented very well and very fast. We will continue next year. 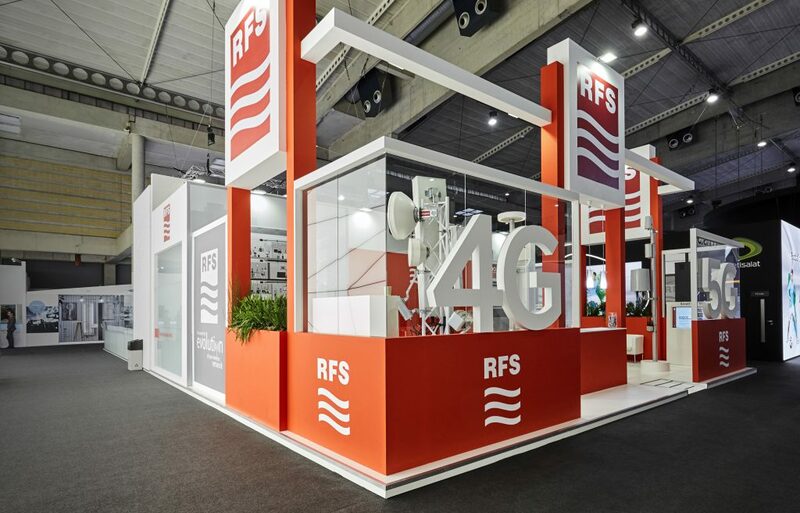 For RFS’ first solo exhibit during the Mobile World Congress, Iventions designed an exhibit mirroring their image and position in the market. 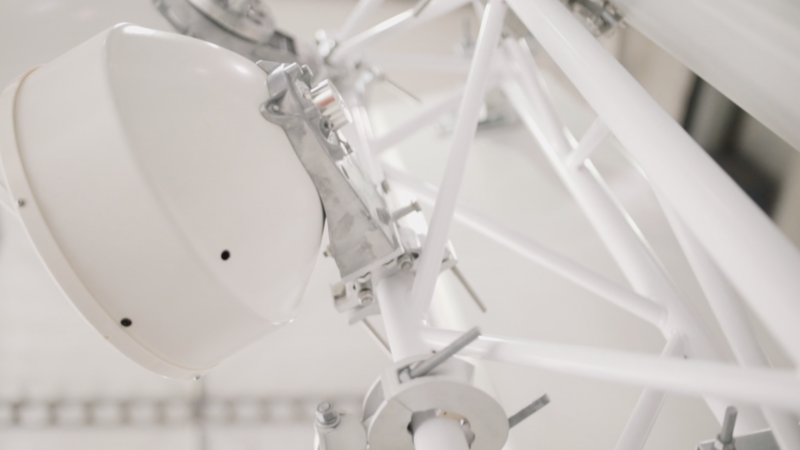 As the company is a leader in providing total-package solutions for wireless infrastructure, we wanted to emphasize height and innovation. 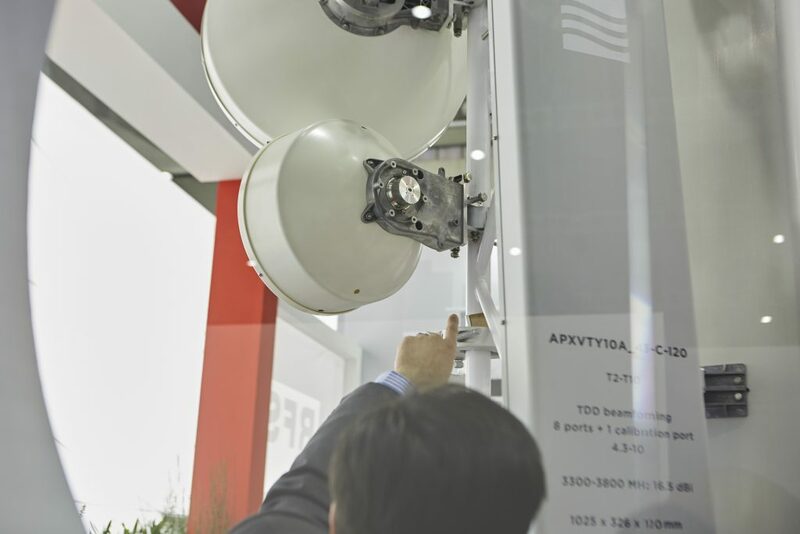 This is why we created a huge, rotating antenna as the centrepiece of RFS’ exhibit. A star stand, its roots firm in sound engineering and exciting graphics. 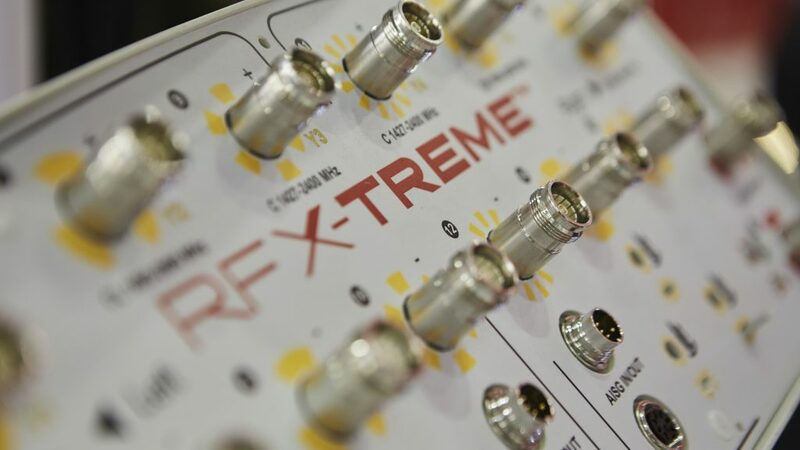 RFS’ product was showcased in an exhibit that combined amazing hospitality with networking opportunities and private meeting rooms that lead to new business. 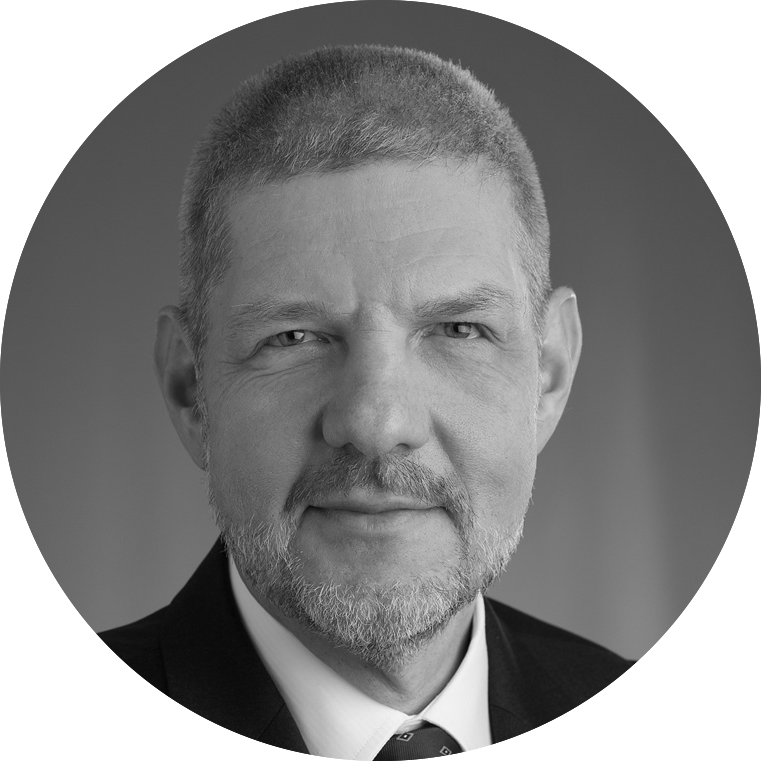 Easily finding solutions for many last-minute requests, our team of international project managers created a feeling of trust and flexibility. 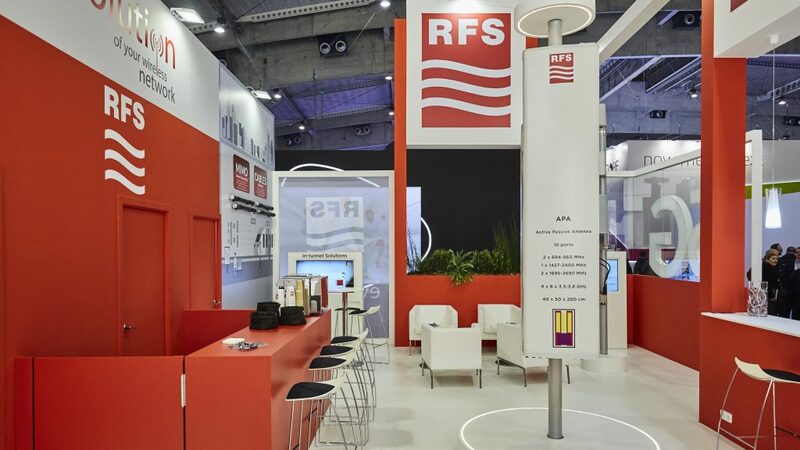 Working together, RFS was extremely content with the successful stand and the striking design. In addition to the production and building of the stand, we helped them with their social engagement, in terms of video, photography and international livestreaming.